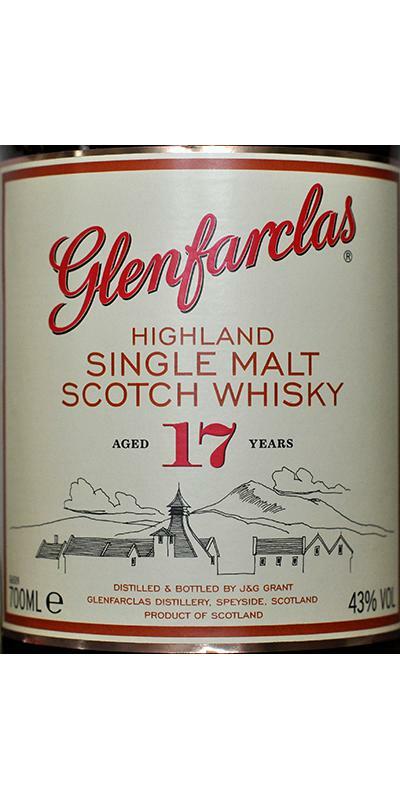 The barrels used at Glenfarclas are either American oak (Quercus alba) previously holding bourbon, or Scotch after holding bourbon or they use European Oak (Quercus robur) which previously held Fino or Oloroso Sherry. Apricot, vanilla and caramel, a little apple juice, slightly sour, a little oak. Malt, some oak, delicate bitterness, classic, confident, good. sherry, honey, mild and round. Opened the bottle and a cloud of sulphur hit me like a baseball bat. Spoiled it all. I keep looking for the good layers beneath, hints of them are there, but the sulphur keeps yelling at me. Lost all hope. Pitty. Used to be one of my favourites. Butterscotch, peat, smoke, candied fruit, sherry, toasted nuts, with a slight hint of eucalyptus with a heathery / resinous edge. Big and round, perfectly balanced. The flavor develops gradually, filling the mouth with sweetness, notes of malt, herbal, pine needles, resin, licorice, oak and sherry, and a subtle hint of peat smoke. Persistent and flexible, notes of gingerbread, spices, oak, nuts and sherry sweetness. 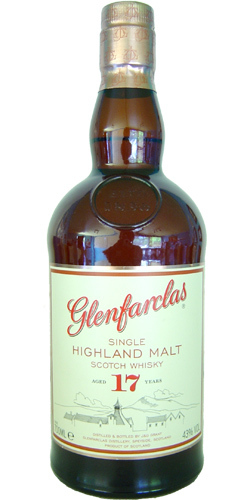 Nose: Complex, with distinctive butterscotch, sherried fruit and peat smoke aromas. Flavour: Big, full-flavoured, with excellent balance, develops slowly, full of sherry sweet malty tones, and a touch peat smoke. Finish: Long lasting and smooth, with a hint of spice and sherry sweetness. Comment: Hints of oak, complexity but finely balanced. Combines the smoothness of our younger whiskies with the greater depth of our older expressions. Bottled in limited quantities primarily for the North American, Japanese and Travel Retail markets. complex, with distinctive butterscotch, sherry fruit, peat and smoke flavors. develops slowly, full of sherry sweet malty tones and a hint of peat smoke.